Problem I have with helmets over 200 bucks is that their protective gear. Their MADE to be damaged...I cried a little when mine first dropped off my handlebar and dinged up the paint and scratched my $60 iridium shield. From then on I swore to find a nice, sub-$200 helmet as a replacement one day, when I need it again. To me, the value of the helmet is exactly related to the value of your head. If you wish to protect your noggin, then, open up wallet. I can tell you that have had cheaper bell helmets, and HJC's and I can tell you from experience that when I switched to my shoei, I will never buy anything cheap again, my head just feels safer thinking about it! Here's mine....a Ruben Xaus Suomy Extreme. This was the $650 one back in 2006. Ridiculous $. I'm in need of a new one for sure. But this has been a great helmet, super light, very comfy, but loud! Earplugs most days. 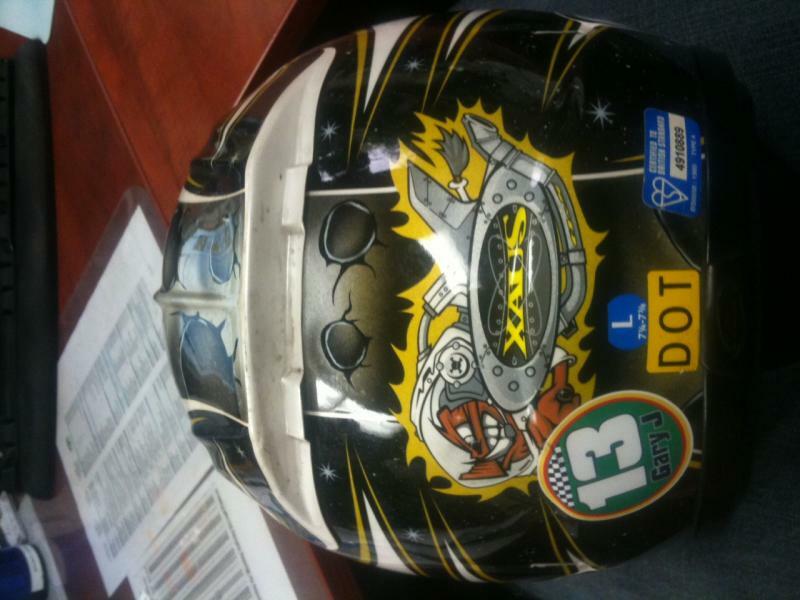 Biggest downside to this helmet was/is the visor coating. You can see where moisture accumulates under the lip and makes the coating peel off. 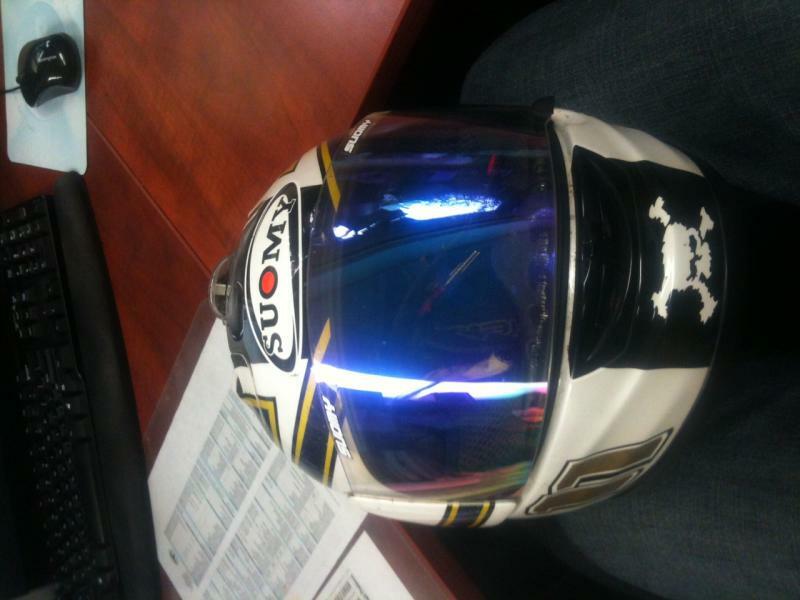 This is the second visor replaced by warranty by Suomy USA. Just snapped these pics. I was given a hard time at Mid-O tech inspection with my old CL-16, so I got the HJC RPHA-10 I was thinking about, in combust graphics. It feels very light compared to the CL-16, and has little to no wind drag and buffeting. The ventilation is amazing as well, you can really feel the breeze over the top of your head even at slower speeds.. Does your head really feel safer? Or is it placebo effect?? It was more so a joke. My shoei rf1100 is just way better built than my HJC. The HJC visor is a pain to open and close and really is a safety hazard because it forces you to take your eyes off the road, HJC said this is normal for the model. Even though it sticks so bad it broke the visor mounting screws a week after I got it. Where as my shoei is smooth as butter. Also the fit and arrow dynamics of the shoei are 1 million times better than the HJC. The CL-16 will actually lift off of your head at any speeds over 120 and will actually give you a horrible case of head shakes. Now we can go on to field of view, when in full tuck with the HJC you actually have to force the helmet to swivel back so you can see what's in front of you, and even then you still can't see anything over 200ft infront of you, the HJC CL-16 is more made for a straight up riding position not really a race or sport bike oriented helmet. Personally now that I spent the money and bought the shoei I would never buy anything of a lesser quality if I would even buy anything other than a shoei. After a long line of Arai helmets, their price kept going up and I started looking around. 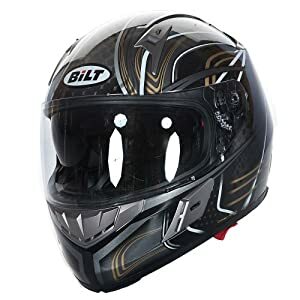 I've owned Bell, HJC, KBC, and now a Cycle Gear Bilt Chicane helmet. It was around $150 when I bought it, and has been on sale for half that once or twice. Maybe it's just me, but I don't see a large enough difference to warrant spending $600-$800 on the new Arai models. I'd love to have one, and I can afford to do it, but I'd rather spend the money on other things. That being said, I am currently shopping for another lid. Maybe something a little sexier. Quick Reply: What's on your head?